Upon the death of her demonic husband, Hester Prynne is left a widow, and her daughter Pearl, a wealthy heiress. Hester takes her daughter to live a quiet life in England--only to find herself drawn into the circle of the most powerful Puritan of all time, Oliver Cromwell. Hester will carry readers away to seventeenth century England with a deeply human story of family, love, history, desire, weakness, and the human ideal. 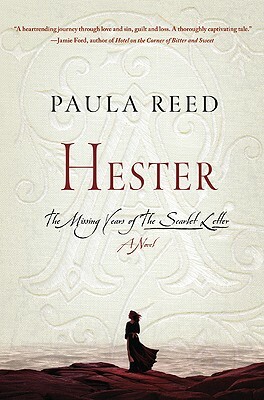 "Paula Reed's Hester is a heart-rending journey through love and sin, guilt and loss. A thoroughly captivating tale, certain to earn its place on your shelf of favorites. "